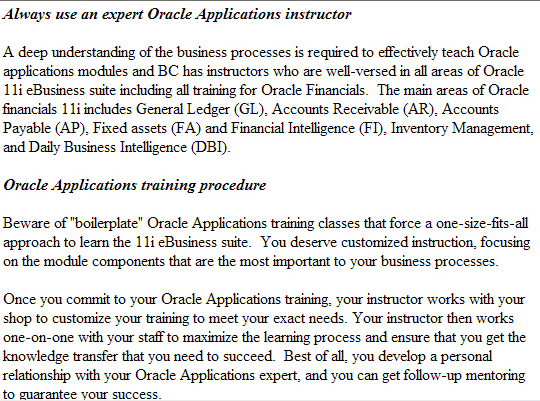 See BC for Oracle applications 11i order management training, taught by an expert with complete experience in setup and customization of all order management screens. 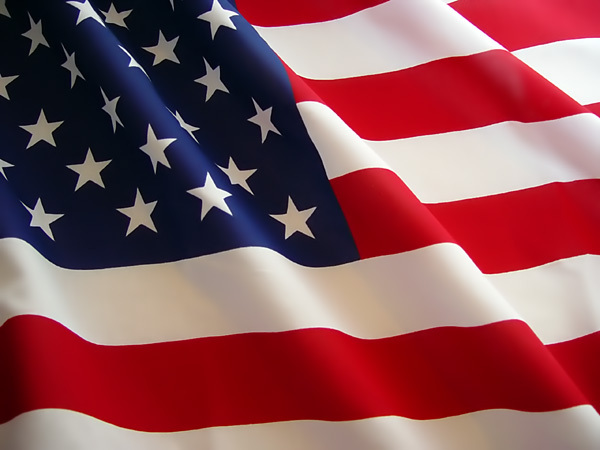 The Oracle applications 11i order management module is quite complex and you need an instructor who understands all of the functional areas. Don't trust your Oracle order management training to an unknown trainer. BC has complete Oracle applications 11i order management functional training courses for all areas of 11i order management. We only offer on-site Oracle purchasing training by expert functional instructors who are well versed in all functional areas of the Oracle 11i purchasing module. 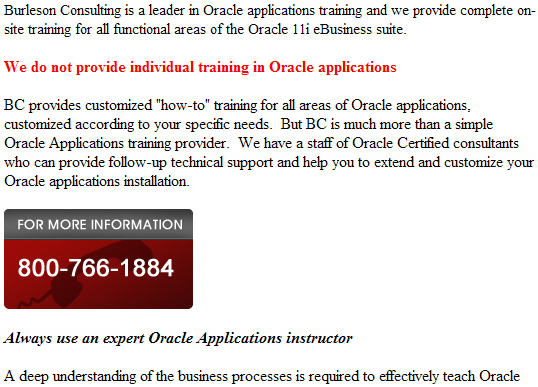 BC is the leader in Oracle order management training courses.